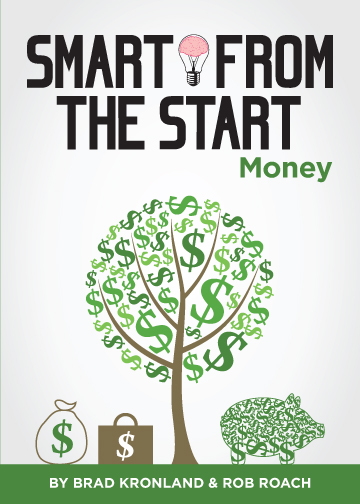 Smart from the Start: Money is an easy to understand and necessary book for people entering the “real world.” In a conversational, easy-to-read style, this book covers common financial decisions young people often face when first starting out on their own. Smart from the Start: Money is uniquely written so each chapter covers a common financial situation. Need advice on buying a car or renting an apartment? Don’t understand your insurance deductible or 401(k) options? Confused by all the fine print on your credit card statement? This book has it covered…and then some. Brad Kronland and Rob Roach have over 25 years of combined experience in the banking and financial services industry. In that time they have advised their clients through many different types of financial issues and problems regarding corporate and personal finance. Fresh out of college though, it was a different story. While both received bachelor’s degrees in finance, they both found they were just as clueless as their friends who had no formal finance training at all. Take advantage of the knowledge and experience they gained over the years so you can make better financial decisions, keep more of your money, and have more fun!